Newfoundland and Labrador's first alpaca farm! Located on the scenic French Ancestors Route on the Port au Port Peninsula. The farm is situated on dramatic sea cliffs overlooking Bay St. George. The farm is home to small herd of huacaya alpacas, a few llamas and a miniature horse. 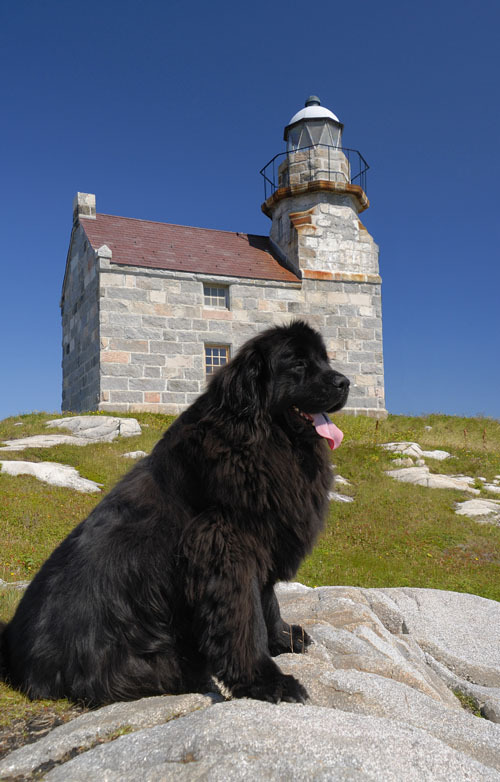 A fun family attraction amist western Newfoundlands spectacular coastline. Half a millennium before Christopher Columbus, the Vikings established a base in Western NL called Vinland. 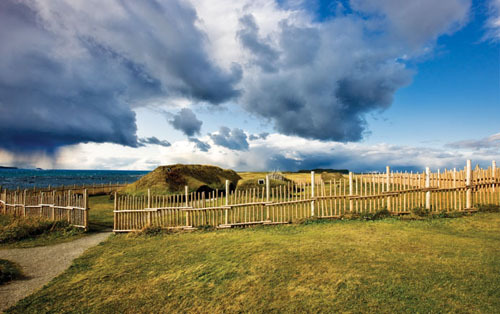 Discovered in 1960, it is the oldest known European settlement of the New World and is the only authenticated Viking settlement in North America. 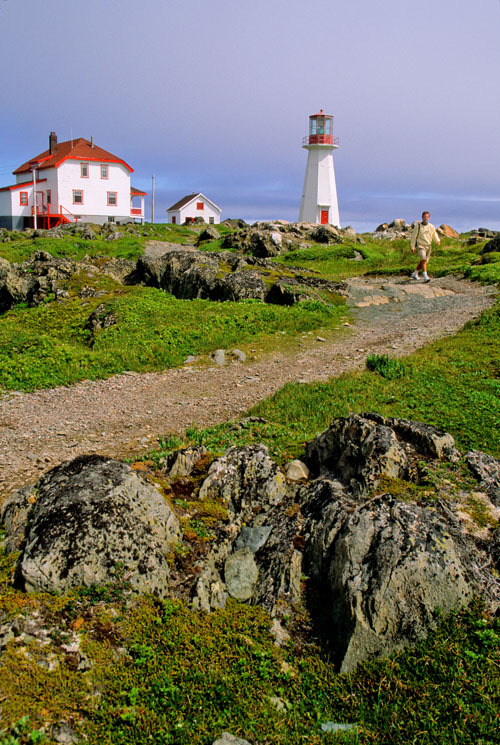 Live the life of a 1922 lighthouse keeper overlooking Iceberg Alley at Quirpon Lighthouse Inn. The fully-restored 4-star Inn , is a Registered Heritage Building. The spectacular view of the mightly North Atlantic from the whale watching station which is a great place to spot whales, with the chance to see up to 22 different species including Humpbacks and the Great White! 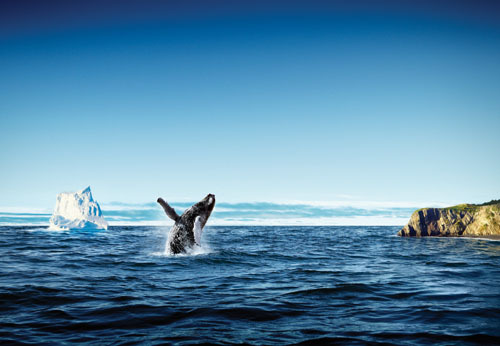 Enjoy a sea kayaking experience with great opportunities to get up close to whales and 10,00 year old ice bergs. The French Shore Interpretation Centre houses the French Shore Tapestry, a 66 meter (216 ft) long embroidered tour de force of storytelling inspired by the famous 11th century Bayeux Tapestry. Created in France and northern Newfoundland, the memorable linen and wool mural tells the history of that region’s French Shore, from the pre-historic animals that roamed the forests and shoreline to the moment in 2006 when a few talented women in the tiny outport of Conche began their embroidering odyssey bringing alive the events and legends that make French Shore history unique. Witness the natural phenomenon of an Atlantic salmon river surfacing from an underground cave. 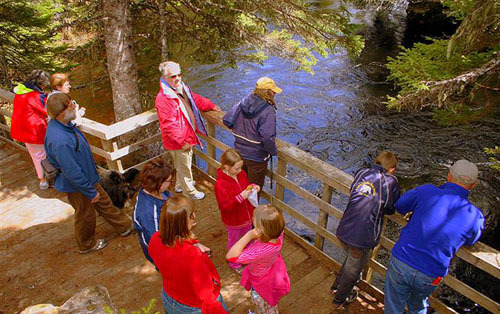 Walk the 2 km boardwalk to see salmon emerging from the cave on their way upstream to spawn. Visit the salmon pool viewing area to see the large congregations of fish. Interpretive signage explains the role of limestone and erosion in the creation of caves and tunnels. Recently named one of the 7 wonders of Newfoundland, the site is only 12 km from the Town of Roddickton. Western Newfoundland is one of the few places in North America where whales and icebergs can be viewed at the same time. 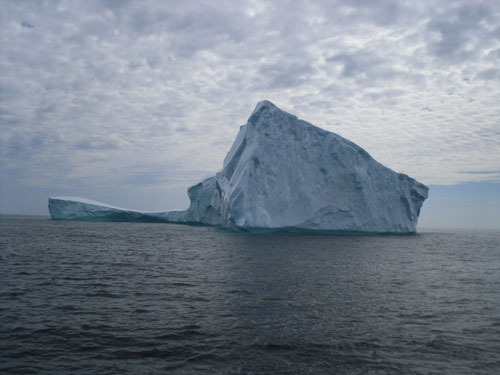 Massive 10,000 year old bergs come in every shape and size. The best area to experience this phoneminum is in the Northern Peninsula in the heart of Iceberg Alley. From April to October an estimated 10,000 whales of 22 different species grace our shores annually, including Humpback, Orcas and Killer Whales. 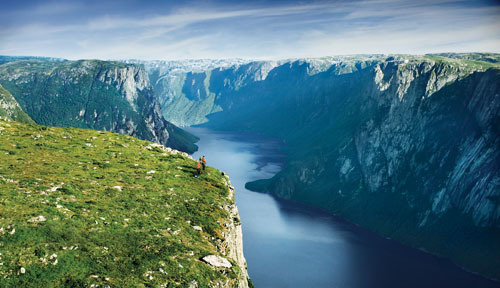 Explore the glacier-carved fjord of Gros Morne National Park at Western Brook Fjord Boat Tour, taking you past cliff nesting gulls and cascading waterfalls from Glacier-carved, inland fresh water fjord with 2,000 foot cliffs, and hauntingly ancient rock formations in the billion year old mountains. 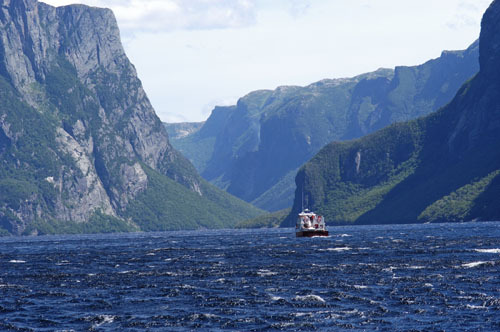 Gros Morne National Park received its designation as a UNESCO World Heritage Site because of the world-renowned geological significance for the light shed on the geological evolution of ancient mountain belts. The geology of the park illustrates the concept of plate tectonics, one of the most important ideas in modern science. The mountains in Gros Morne are 20 times older than the Rockies with powerful landscapes and a spectacular combination of diverse land and seascapes. A place where people have lived for over 4500 years. Canada's longest and highest zip line! 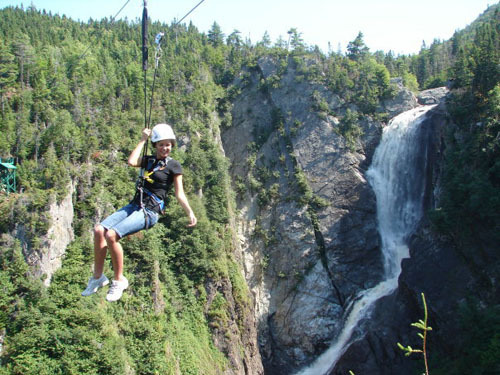 Feel the adrenaline pump through your veins as you zip zag down the side of Marble Mountain, traversing Steady Brook Falls along 9 zip lines up to 1400ft long and 285ft high. 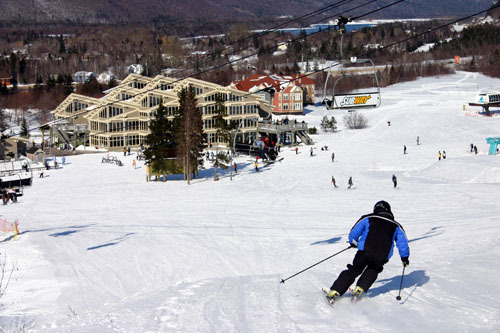 The sensation is a mix between parachuting and flying, and provides ample view points overlooking the scenic Humber Valley. Zip tours are offered in summer and winter, with night ziplining available by request. Located at the end of the Granite Coastal Drive on the provinces south west coast, the Rose Blanche Lighthouse is located in the scenic coastal community of Rose Blanche providing stunning views overlooking the Atlantic Ocean. This lighthouse stands as a proud sentinel of our shores. Built in 1873 and operated as a lighthouse until the 1940s. The building was reconstructed fully in 1999 and furnished with 19th century reproduced furniture and local antiques. The facility was the first lighthouse to be recognized as a Registered Heritage Structure in the province.